An essential component in the design of environmental tax systems is the ability to enforce compliance. Traditional theory based on Becker (1968) suggests that firms comply with environmental taxes when the tax is less than the expected fine, that is the detection probability multiplied by the fine for non-compliance. This approach has overlooked an important aspect of designing compliance mechanisms: the strategic interaction between regulated firms. Firms respond strategically to incentives created by interactions between institutions and other firms, which is a focus in game theory. Environmental economists increasingly use advances in game theory to improve the design of compliance mechanisms so that those mechanisms better serve agencies responsible for enforcing environmental taxes. Compliance is usually achieved through a fine-based enforcement system implemented by environmental enforcement agencies (EPAs). The fines for non-compliance in such a system are typically capped. Hence, the enforcement system mainly relies on sufficiently high detection probabilities of non-compliance by firms. However, the detection of non-compliance through auditing is costly for the EPAs and therefore the detection probability is determined by the agency’s operating budget. The lower the operating budget of the EPA, the fewer inspections the EPA can afford to conduct. Many law enforcement agencies were subject to severe budget cuts in the past several years. For instance, the operating budget of the US Environmental Protection Agency was reduced by 21% from 2010 to 2015. At the same time, the production processes of regulated firms have become increasingly complex resulting in higher auditing costs for these firms. Smaller budgets for EPAs and the rising costs of auditing have amplified the need for practitioners to identify cost effective audit mechanisms, which we define as strategies to decide which firms to select for an audit in order to achieve the largest possible compliance levels among the regulated firms. In an analysis using game theory, the enforcement agency and the regulated firms are described as “players” in a “compliance game”. Analyzing such a “game” provides some general principles of the behavior of firms. Once it is understood how firms respond to certain incentives with the help of game theory, this knowledge can be used to design audit mechanisms in practice that align firms’ incentives with the underlying goals of the EPA. Telle (2013) describes empirically the typical auditing practices in many Western countries. The EPAs usually cannot observe emissions directly, but instead they require that the firms self-report their emissions to the EPA and the EPA subsequently audits a fraction of the firms. In essence, firms have to make two decisions: (1) the quantity of emissions to generate, and (2) the quantity of these emissions to report. Macho-Stadler and Pérez-Castrillo (2006) study optimal audit mechanisms for environmental taxes in a theoretical model where firms can choose both the level of emissions and the level of reporting. This approach significantly contributes to earlier models in the literature where firms would simply make one binary decision: to comply or not to comply with a given regulation. The authors find that it is optimal to allocate the available audit resources according to observable characteristics of the firms. The easiest-to-monitor firms should be assigned the largest share of auditing resources and also those firms that value pollution the least. This is because the easier it is to detect pollution, the lower the audit probability necessary to induce the desired pollution level per firm. Likewise, having less incentives to pollute, the firms with less gains from pollution will be more deterred by the auditing efforts of the EPA. In their paper, the probability that a firm is audited is differentiated according to observable characteristics, but it is independent of reported emissions. Theoretical approaches require simplifying assumptions in order to keep the analysis tractable. The simplifying assumption made by Macho-Stadler and Pérez-Castrillo comes at the cost of leaving an important question unanswered: After the grouping of firms according to observable characteristics, how can the firms’ self-reports be utilized to further increase the effectiveness of audit mechanisms? The recent literature has made some headway in answering this question. Gilpatric et al. (2011) introduce audit mechanisms for the environmental field based on reported emissions. The authors call these audit strategies competitive audit mechanisms (CAMs). CAMs suggest that the EPA should focus their audit efforts on those firms that deviate in their report from the expectation of the EPA relative to other firms. The more that the firm’s emissions report deviates from the EPA’s expectations, the higher the audit probability of the firm will be relative to other firms. In essence, this is a “tournament” mechanism because it is a variant of the seminal Lazear and Rosen (1981) rank-order tournament game. In this compliance tournament, firms want to increase their emissions report (closer to the EPA’s expectation) over and above other firms in order to avoid being audited by the EPA. In the equilibrium of this compliance game with CAMs, high levels of compliance are predicted even in some circumstances where the random audit mechanism would yield zero compliance effort. The random audit mechanism prescribes to choose as many firms at random as the EPA can afford to audit. One simplifying assumption in Gilpatric et. al (2011) is that emissions are fixed, which means the firms’ incentives for emission abatement remain unclear. Since most environmental tax systems aim to control emission levels, it is important to include the firms’ incentives for abating emissions under CAMs. Oestreich (2015) compares firms’ incentives for both emissions and emission reports under two types of CAMs (with different levels of competitiveness) to the random audit mechanism. These CAMs allocate more of the available audit resources to the firm with the lower report relative to other firms while keeping the overall costs for auditing identical to the costs under random auditing. The comparison, based on reported information, generates a reporting competition between regulated firms. The CAMs always lead to more truthful reporting in comparison to the random audit mechanism. However, where the allocation of audit resources can be influenced to some degree by firms’ reports, CAMs induce firms to reduce their emissions compared with the random audit mechanism. In contrast, where the allocation of audit resources is completely based on firms’ reports, CAMs lead to the opposite effect: more aggregate (and socially inefficient) emissions caused by firms on average in comparison to the random audit mechanism. Several of the presented theoretical predictions are confirmed in laboratory experiments by Cason et al. (2015). 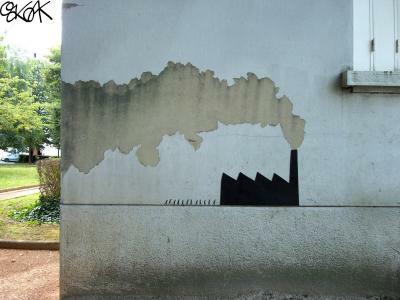 However, despite improvements in the emissions and reporting behavior of firms due to the suggested innovative audit mechanisms, all of them would fail to implement the socially efficient emissions level (where firms equate their marginal benefits from emissions to the environmental tax rate) when the audit resources are relatively low. The socially efficient emissions level is reached when the cost to industry and the benefits to society from emission reduction are balanced. The novelty in Oestreich (2016) is that the audit mechanism is treated as endogenous. That means, the EPA is the designer of the audit mechanism and can therefore design the audit mechanism to make the regulated firms behave in a way the EPA desires. The audit resources of the EPA and the magnitude of the environmental tax and penalty is predetermined, and inform the design of the audit mechanism that induces the socially efficient level of emissions. In essence, the derived audit mechanism is a contest: firms compete for a prize (not being audited) by expending costly resources (their taxable emissions reports). The intensity of the auditing contest is manipulated by the EPA according to the audit budget, the environmental tax and penalty. For example, the lower the audit budget, the fiercer the audit contest will be. The optimal audit mechanism can induce efficient emissions, because it exploits the strategic interdependencies between the firms in a way that makes the marginal cost of emissions equal to the tax rate. From a policy perspective, it is common for EPAs to not disclose the auditing mechanisms they use. The game theoretical approaches presented herein question this behavior of EPAs. These approaches make the case that publicly announced audit mechanisms may induce strategic behavior among firms, which can be harnessed to improve the effectiveness of EPAs’ auditing efforts. While the presented compliance mechanisms are in the context of environmental taxation, the contributions have wider applicability. In fact, the audit mechanisms are relevant for any law enforcement agency which makes audit decisions after having received imperfect, costly signals from regulated subjects about their compliance efforts. Other applications include the capital requirements for financial institutions or the monitoring of corporate social responsibility activities. See EPA’s Budget and Spending (2015). Becker, G. Crime and punishment: an economic approach. Journal of Political Economy 76(2): 169–217, 1968. Cason, T., L. Friesen and L. Gangadharan. Regulatory performance of audit tournaments and compliance observability. Working Paper, Purdue University, 2015. EPA: Official website of the US Environmental Protection Agency titled “EPA’s Budget and Spending”, http:// www2.epa.gov/ planandbudget/ budget, 2015. Gilpatric, S.M., C.A. Vossler and M. McKee. Regulatory enforcement with competitive endogenous audit mechanisms. RAND Journal of Economics, 42(2):292–312, 2011. Lazear, E. and S. Rosen. Rank order tournaments as optimum labor contracts.” Journal of Political Economy, 89:841–864, 1981. Macho-Stadler, I. and D. Pérez-Castrillo. Optimal enforcement policy and firms' emissions and compliance with environmental taxes. Journal of Environmental Economics and Management, 51:110–131, 2006. Oestreich, A.M. Firms' emissions and self-reporting under competitive audit mechanisms. Environmental and Resource Economics, 62(4):949–978, 2015. Oestreich, A.M. On optimal audit mechanisms for environmental taxes. Working Paper, Brock University, 2016. Telle, K. Monitoring and enforcement of environmental regulations: Lessons from a natural field experiment in Norway. Journal of Public Economics, 99:24–34, 2013. Tullock, G. Efficient rent seeking, in J. M. Buchanan, R. D. Tollison, and G. Tullock, eds., Toward a theory of the rent-seeking society, College Station: Texas A&M University Press, pp.97–112, 1980. Marcel Oestreich is an Assistant Professor at the Department of Economics of Brock University. He holds a Ph.D. in Economics from the University of Guelph, a M.A. in Economics from York University and a B.A. in Economics from the University of Cologne. His research interests are in Environmental Economics, Applied Game Theory, Industrial Organization and Empirical Finance. His research on the impact of environmental regulation on the competitiveness of regulated firms has been published in journals such as Environmental and Resource Economics and Journal of Banking and Finance.